How do you maintain your career now that your doctor has confirmed that you have Chronic Kidney Disease (CKD)? You have been through a lot and yet you have remained so positive and so upbeat. How do you go about maintaining a career while living with Chronic Kidney Disease (CKD)? These are questions that most people suffering from chronic kidney Disease (CKD) ask all the time. Kidneys are very vital organs for the functioning of our body. They are responsible for body detoxification. Additionally, they produce hormones which help to regulate blood pressure and also stimulate the production of red blood cells. There are various forms of kidney diseases. Some forms are acute, which means that they cause sudden damage to the kidneys. Others are chronic, which means that they result in the decline of kidney functioning and they can lead to renal failure. 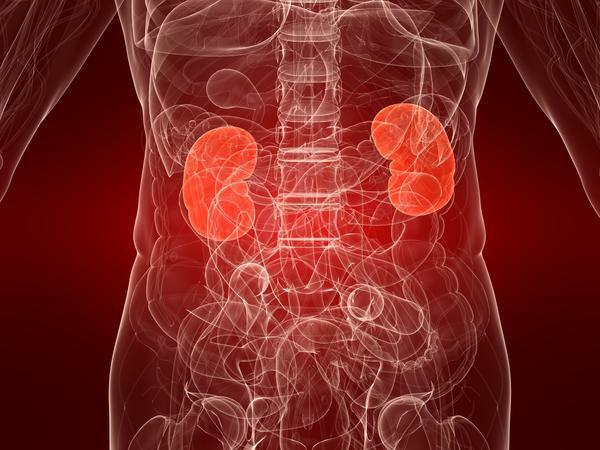 Many people living with Chronic Kidney Disease don’t realize it until it is too late. When symptoms of CKD manifest and the doctor confirms their worst fears, it takes a toll on them, sometimes resulting in acute stress on the patients. This has an enormous impact on individual’s personal life and career. It is, however, important to know that all is not lost. You can learn to live with Chronic Kidney Disease and live a happy life. So what’s the secret to living a happy life with Chronic Kidney Disease? If you already have Chronic Kidney Disease, then you are probably worried about your personal life, career, and so many other things. Apparently, no single magic pill will wipe out this emotional and mental stress you may be experiencing right now. The truth is that no one can make the pain and sadness to vanish out of your life, except you! It is only you who have the key to a better future. Here is a list of things you can do to live a happy life and maintain your career. They say that knowledge is power. It is important to research thoroughly about CKD and all the available treatment options. Seek all the necessary information that you need to know about living with chronic Kidney Disease. By getting the relevant information, you give yourself a sense of confidence that will put you in control of your situation. This is the biggest mistake that people living with chronic diseases do; living in denial. Don’t just pretend that everything is fine. It is crucial that you acknowledge that you have an illness. Talk to your colleagues about it so that they can understand you better. Sometimes it may be uncomfortable to disclose to them, but you can be sure it is the right thing to do. All you have to know is that it doesn’t have to remain like that forever. Ask any physician, and they will tell that exercises are an important component in managing chronic conditions. Besides, exercises help you to live a happy and healthy life. Talk to your physician and see the kind of exercises that they recommend for your condition. Regular workouts will help you to remain fit and robust to take on your routine. Office spaces are always full of different kinds of individuals. Negative people will always yield negative energy. They will make you feel sorry about your situation which only makes matters worse. Don’t waste this moment, right now with people who have nothing positive to offer to your life. Ask yourself a few questions. What good does it do you hanging around negative people? Does it help to make you feel better? It is important to know that you are not alone in this journey. There are a lot more people out there living with Chronic Kidney Disease. Go out and find them. Most of these people have been through what you might be experiencing right now, and they were eventually able to overcome it. These groups offer invaluable support to their members. These are great avenues to know more about the illness, the kind of diet that you should be taking as well as the exercises for your body. Additionally, they will hold your hand and keep you from making mistakes that can make your condition worse.